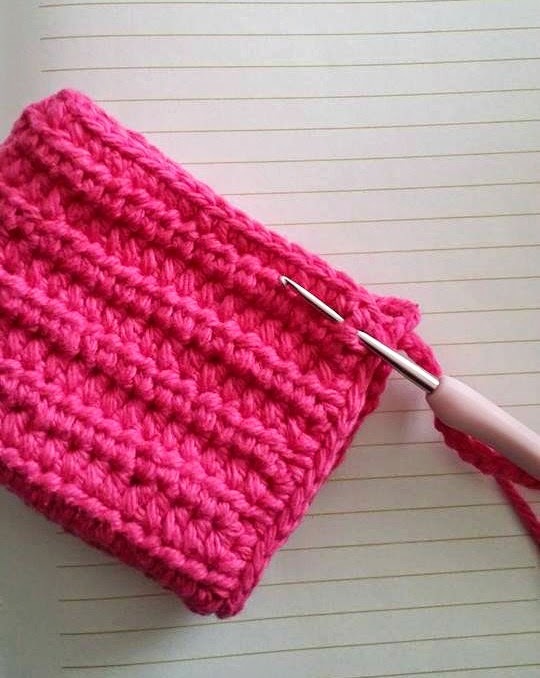 Insert your hook into one of the corners on the hat, pull up pink yarn and ch x 20, fo. Then repeat for the second corner. To add another line of ruffles on your bonnet repeat the line above. Make sure your duck is stuffed firmly, weave in end. Sew the bottom of your webbed feet onto your legs. Then stuff the legs firmly from the top, and sew them onto your duck. 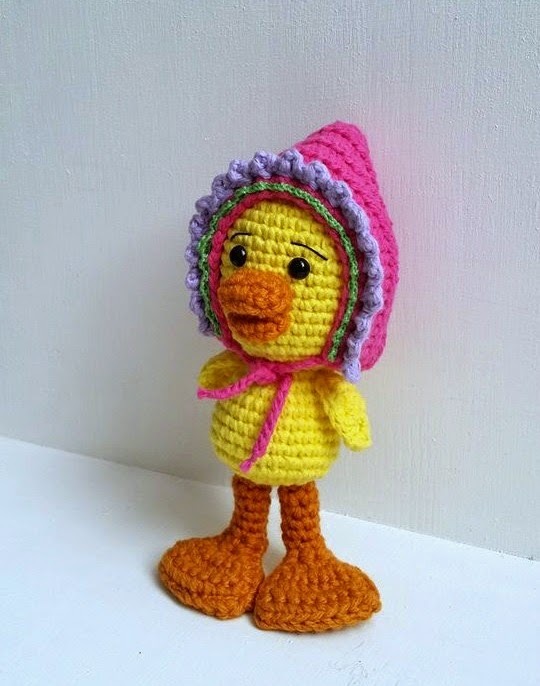 Sew on the upper and lower beak onto your duck. Sew on eyebrows. 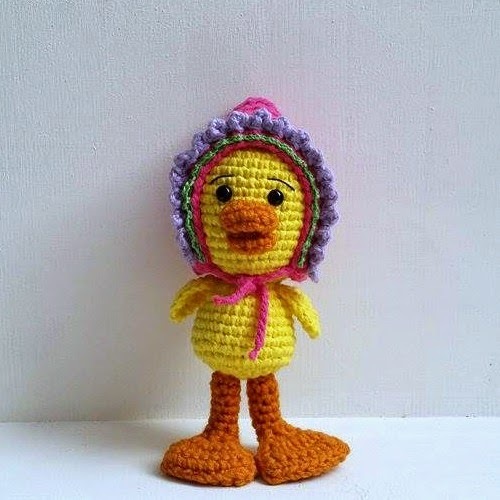 Take about 5 strips of yellow yarn and use the loop method and add them on the top of your ducks head. And if you would like the hair fuzzy you can brush the yarn with a wire brush. 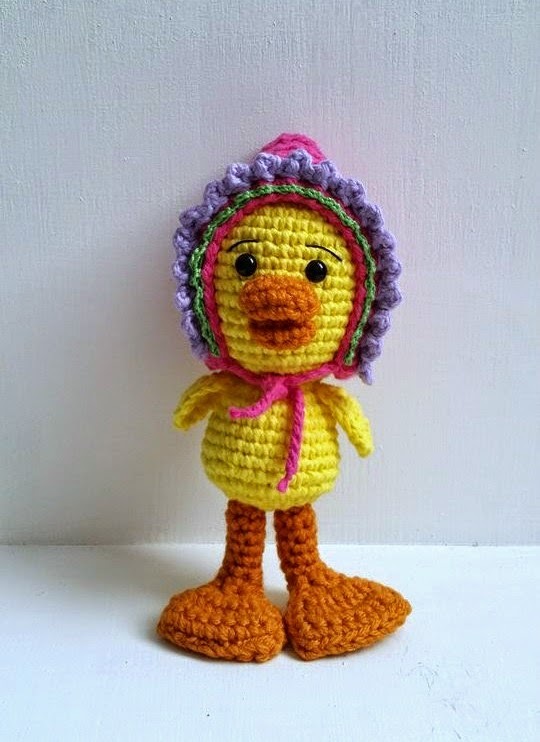 Sew the bow onto your duck in front of her hair. Then sew on the wings. Weave in all ends and trim them. Cute little duck. Thank you for sharing your idea and creativity. 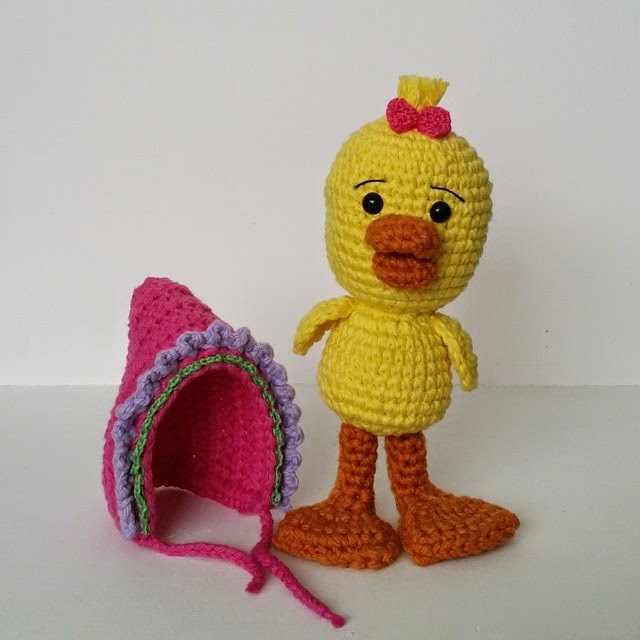 So fun little duck for my kids. Many thanks for your sharing. SO FREAKIN' CUTE! I love your patterns and wish I could CREATE patterns the way you are able to! Thank you so much for your generosity in sharing so many!